2013 Announced RBA field price $1,650.00 per ton $0.825 per lb. Raisin growers have sent a strong message to the industry that they prefer selling raisins on a 100% basis now and into the future. 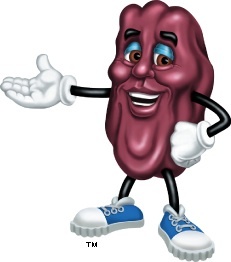 With that in mind, the Board of Directors of the Association worked diligently toward a compromise with their signatory packers to establish a fair price that reflects the additional California raisin production for this season. The Raisin Administrative Committee (RAC) recently estimated the 2013 Natural Seedless raisin crop at 348,437 tons in comparison to deliveries of 311,090 tons last year. The $1,650 per ton price for the 2013 Natural Seedless raisin crop is a 13% reduction to last year but takes into account the additional crop that is estimated for production as well as the challenging market conditions that the industry will be facing. The agreement calls for growers to be paid in three installments this year as opposed to four installments last season. 65% of the payment will be due fifteen (15) days after completion of delivery, 20% will be due to growers on or before February 28, 2014, and the final 15% will be payable on or before April 30, 2014. In the past, grower reserve raisins generated funds to assist the industry in marketing additional production into world markets. The effort to sell this year’s additional production without reserve programs and the temporary elimination of state marketing and promotion funding are two reasons why the RAC assessment of fourteen dollars ($14) per ton has been included in the pricing formula. This will provide an opportunity for the industry to work together through the RAC in support of efforts to market 100% of each year’s crop without reserves. As reported from the International Dried Grape Producing Countries Conference in October, there continue to be strong indicators that Turkey has a significantly smaller dried grape crop to market this coming season. California and Turkey are the two largest producers of dried grapes in the world. It was also reported that South Africa, Chile, and Argentina have suffered tremendous frost damage in their vineyards, which will severely limit their harvest, which begins in January. The ability to take full advantage of what appears to be a tremendous sales opportunity requires an announced field price. The Raisin Bargaining Association Board of Directors understood the importance of establishing this important benchmark in a timely manner to sell the maximum amount of raisins this year. However, they are also well aware of the impact it has on the grower community. Labor, water, and energy costs have significantly increased for growers over the past twelve months further squeezing their bottom line margins. As agricultural resources in California are depleted, vineyard owners will continue to seek the best utilization of their land. “Time will tell what impact this acreage reduction will have on the future of the California raisin industry but taking the necessary steps to market this year’s crop was extremely important for the Raisin Bargaining Association to accomplish. We are now counting on the California raisin packers to sell this crop to provide a better future for the remaining growers in our industry,” Spate said. Spate added that processors thought the price should have been lower, but growers generally thought that shortages in Turkey and other areas should have boosted the price. “But still, there are excess raisins on the market and it has created a downswing in price. Growers who are pushing out vineyards say that the lower price is only one factor that is in play. Chronic labor shortages are also encouraging growers to plant a less labor-intensive crop.